To date, many of the successful results of Computer Science research have been obtained through experimentation with computer programs. In a new field such as this, the presence of adequate computer resources is deemed essential. The Laboratory is fortunate in having a variety of resources, about to be linked by a local data network. 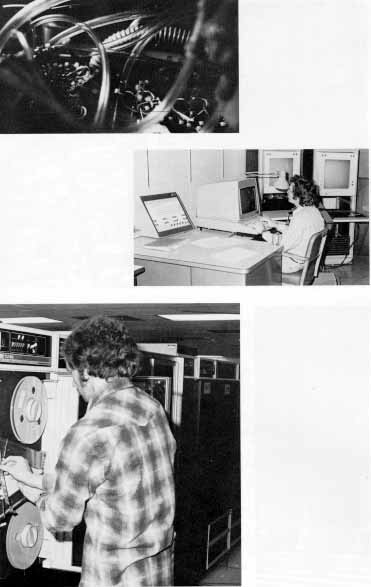 These resources consist of three PDP/10 computers, including a powerful PDP-10/80 system, and several smaller machines comprising a total of seven million bytes of primary memory and almost one billion bytes of secondary memory. The machines are accessed by terminals located within the Laboratory and by terminals within MIT or in other parts of the world through direct telephone lines and through the ARPA network. In addition, Laboratory members have access to the Multics time-sharing system based on a Honeywell 6180 computer with one billion bytes of secondary memory. This system is a nationwide resource, managed by MIT's Information Processing Center.